Um, no, I don't recommend anything just for a commission. However, I will recommend something that I believe will help my readers. I asked to be able to have a thorough look at the whole book and was forwarded an electronic review copy. So I asked them in my newsletter. And 145 people went on to purchase the book straight away. I guess that's a yes! 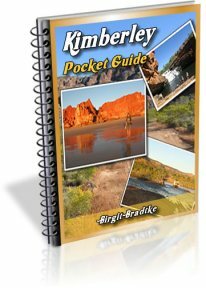 My review of "100 Things To See In The Kimberley"
100 Things To See In The Kimberley is presented as a "travel guidebook written by Kununurra-based tour guide Scotty Connell". Scotty grew up in Broome, is now based in Kununurra and he founded and still runs a highly regarded Kimberley tour company. This made me expect a detailed guide with a lot of local insider information, similar to what you find in my own books. Well, this book is as different as can be. 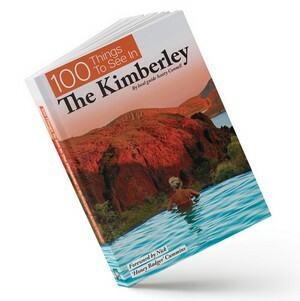 The book presents one hundred different sights in the Kimberley, some very well known, some little known. 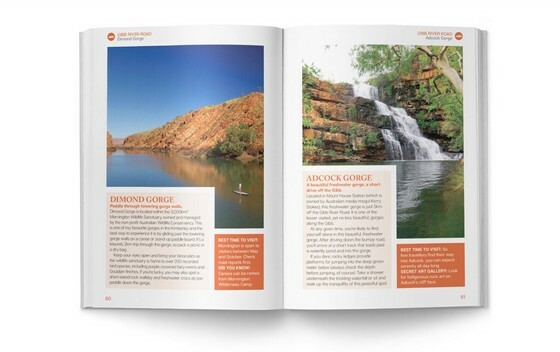 Each location has a single or double page, one or more great photos, a short description, and then some additional tips. Overall it is very well organised and nicely presented. Very easy to digest. You can view some example pages here. They are representative of the other pages. This is exactly what you get, one hundred times. Initially, when looking at those example pages, I was disappointed. Nothing special here, shallow, no real info. Or so I thought. I am glad I asked for the review copy because there is more to this book. Many of the other pages DO contain the insider info that I had been expecting of someone like Scotty and I found many little tidbits that were new even to me. Maybe the example pages are not very well selected. Then again, I wouldn't want to give away the best parts of my book in a free preview either. Anyway, you often find interesting historical and background info or useful tips in the main descriptions, plus additional tips and info in sidebars, sometimes things that really only the locals know about. 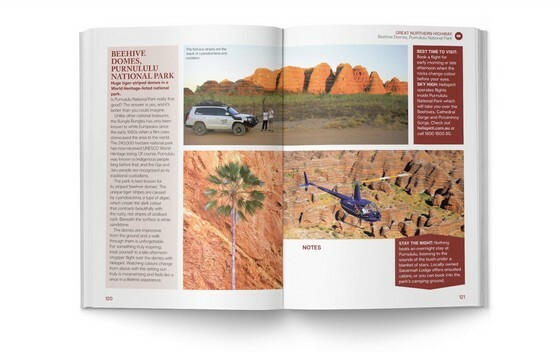 Scotty also covers a part of the Kimberley that I do not write about at all: The Kimberley coast that is only accessible by plane, helicopter or a large boat. What I also like are the maps in the beginning. They won't help with the driving or detailed planning (can't beat the HEMA map or Kimberley Atlas when it comes to that), but all the locations are numbered and marked on the maps, giving you a good overview of how everything fits together. What you will not find is info that actually helps you in the planning of your trip or while on the road, and I don't feel it should be called a "guidebook". Since I only saw an electronic copy I can't say anything about the paper or print quality, but I actually feel this would make a very nice coffee table book. A book that you can pick up any time, open on any page, and enjoy. It would also make a good present, either for someone who has been on a Kimberley trip and now can't stop talking about it, or for someone who may be dreaming about such a trip but hasn't decided yet. This will get them moving for sure! 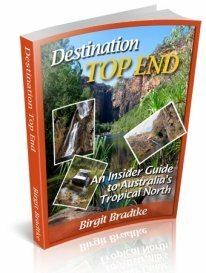 An attractive, enjoyable and very well presented introduction to a huge variety of things to see and do in the Kimberley, with many little bits of info here and there that can enhance and add to your trip and that set this book apart from the usual coffee table book. 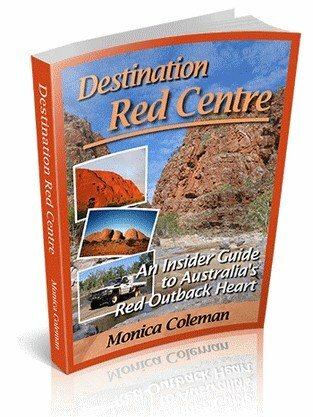 "I bought your triple deal of Destinations Kimberley/Top End and Red Centre, which by the way are terrific and soooo helpful in the planning of our trip. There are no pictures in the downloads though – and I've found some other of your publications do. Is this correct? I find the pictured info is more helpful." None of my guides have pictures due to the file size and printing considerations. I also get the odd email from people who are less interested in the information in my guides but would rather just have a "real" and nice looking book. 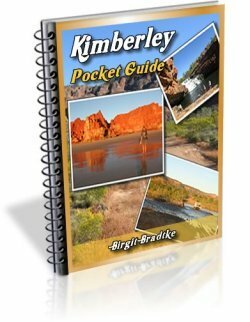 My thinking is that, as long as you don't expect an actual guidebook, "100 Things To Do In The Kimberley" could be a very nice addition to my Kimberley Pocket Guide (the one that newsletter subscribers receive for free), filling in that gap. If this sounds good to you and you'd like to purchase the book, feel free to do so through this link. As I mentioned in the beginning, be aware that I will get a small commission (5%) on the sale if you do. And if you do purchase the book, let me know what you think of it!